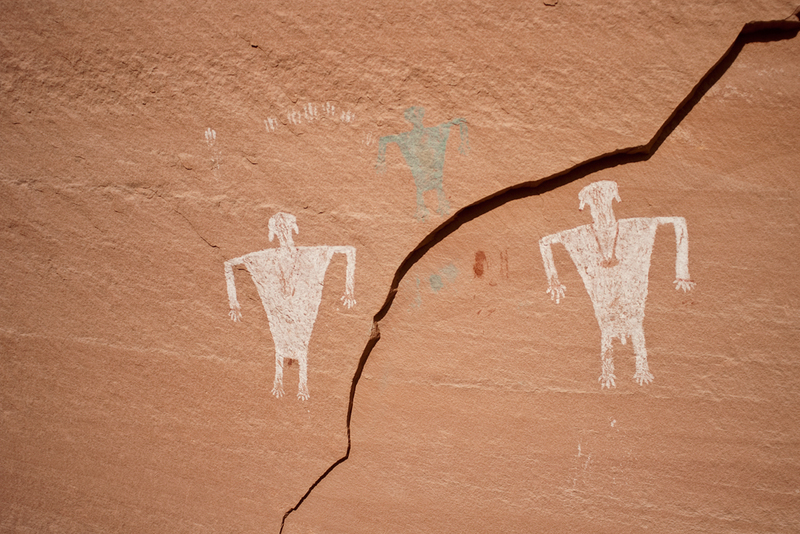 These nearly life-sized male figures are situated on a cliff wall looking down into the canyon below. Besides the large size and coloration, of interest are the earrings and necklaces and the unusual depiction of the hands and feet. Where one finds ruins there is often rock art. 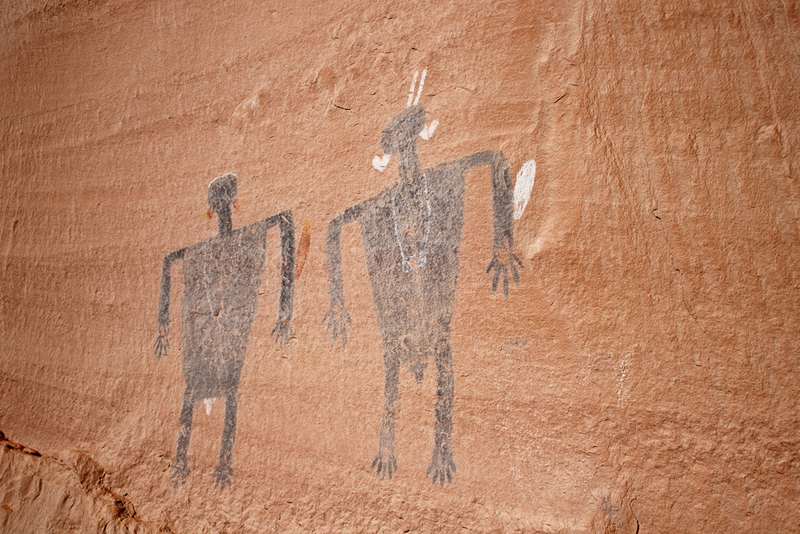 This site has a particular large number of painted anthropomorphs and hand-prints. Remarkable are the varying colors of the anthropomorphs. 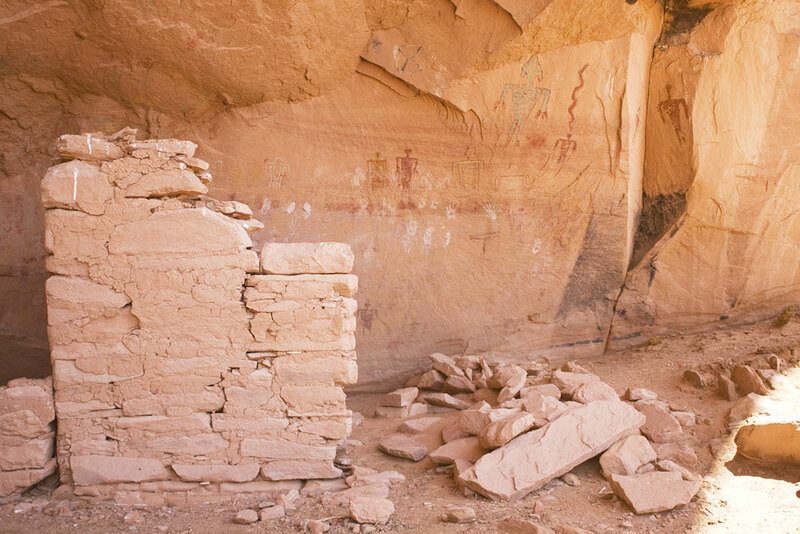 Ancestral Pueblo Paintings, Navajo Nation, Arizona.